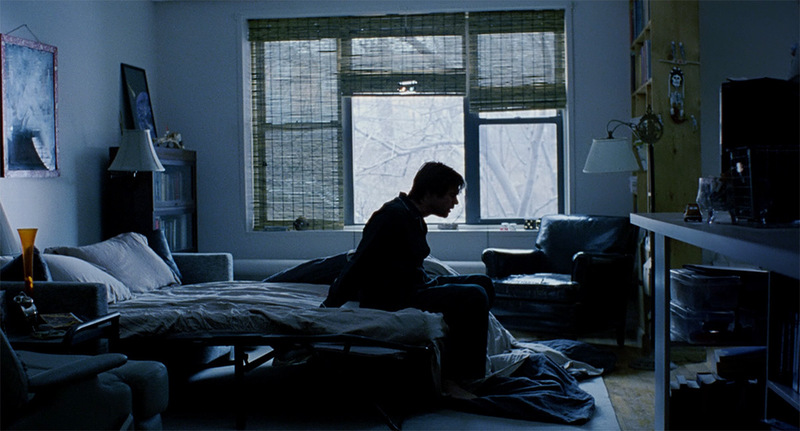 Watching Eternal Sunshine, you don't just watch a love story -- you fall in love with what love really is. One of those rare collaborations that artists dream of, and that film lovers crave. Eternal Sunshine of the Spotless Mind, the latest and loveliest alternative universe created by Charlie Kaufman, America's most — we should probably say only — intellectually provocative screenwriter. Chases so many ideas that it threatens to spin out of control. But with our multiplexes stuffed with toxic Hollywood formula, it's a gift to find a ballsy movie that thinks it can do anything, and damn near does. A masterpiece? Probably. Ingenious? Absolutely! Unforgettable? I'll see you at the 10th-year anniversary. How sweetly ironic that Eternal Sunshine of the Spotless Mind would turn out to be the perfect movie about love's inevitable imperfections.